The town lies at the upper end of Mattertal at an elevation of 1,620 m (5,310 ft), at the foot of Switzerland's highest peaks. It lies about 10 km (6.2 mi) from the over 10,800 ft (3,291.84 m) high Theodul Pass bordering Italy. 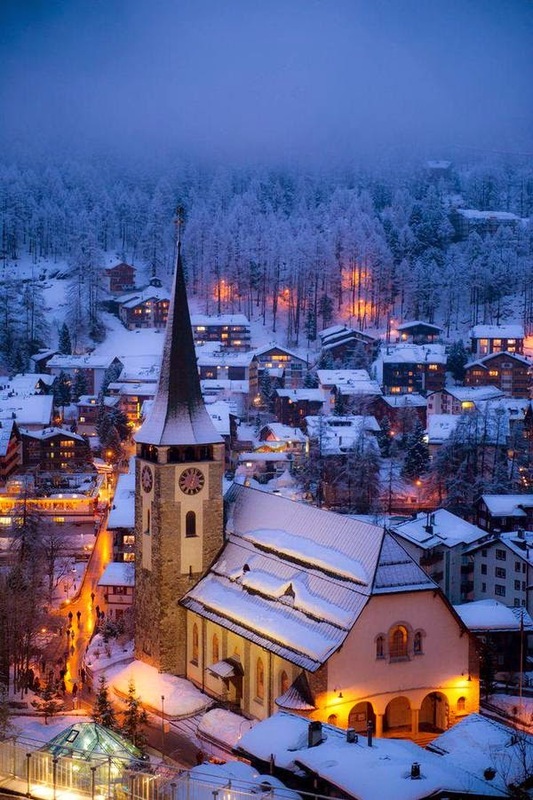 Zermatt is famed as a mountaineering and ski resort of the Swiss Alps. Until the mid-19th century, it was predominantly an agricultural community; the first and tragic ascent of the Matterhorn in 1865 was followed by a rush on the mountains surrounding the village, leading to the construction of many tourist facilities. The year round population (as of December 2013) is 5,751, though there may be several times as many tourists in Zermatt at any one time. Much of the local economy is based on tourism, with about half of the jobs in town in hotels or restaurants and just under half of all apartments are vacation apartments. Just over one-third of the permanent population was born in the town, while another third moved to Zermatt from outside Switzerland.